It is strawberry season in the province of Quebec! There are so many fruit farms that grow berries. It has become tradition for families or school groups to head out to these strawberry fields and spend the day picking and eating delicious berries. At EC Montreal, we like to give our students a taste of local flavors. This morning we held our annual strawberry festival at the school. When the 10:30 bell rang indicating it was break time, the students headed towards the student lounge as usual. 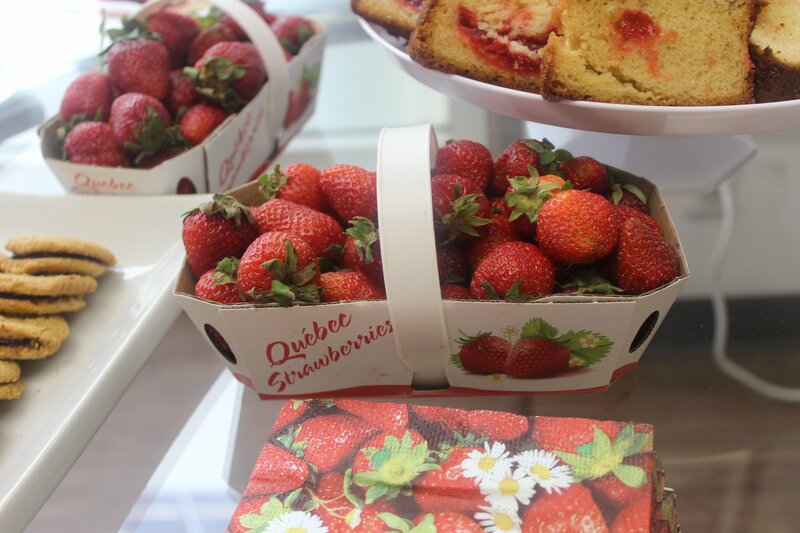 What they weren’t expecting was tables and tables filled with fresh strawberries and strawberry baked goods. We even had pitchers of strawberry and banana juice. 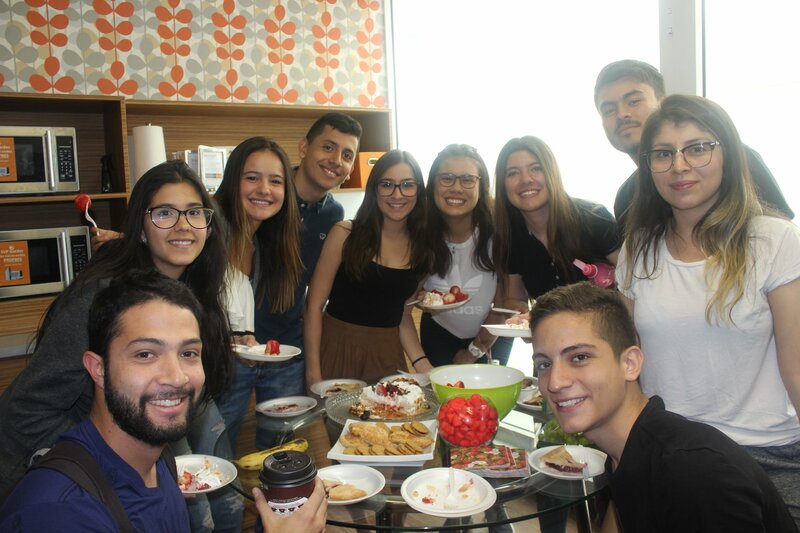 Our students really enjoy these events that we call ” a taste of Montreal’ and all the opportunities we create for them to interact with each other and make friends! Life is sweet at EC Montreal! Check out our Montreal English Language School and get a sweet taste of Montreal!